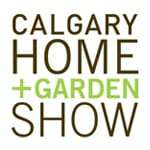 A popular addition or component of a kitchen renovation is the installation or upgrade of new countertops. 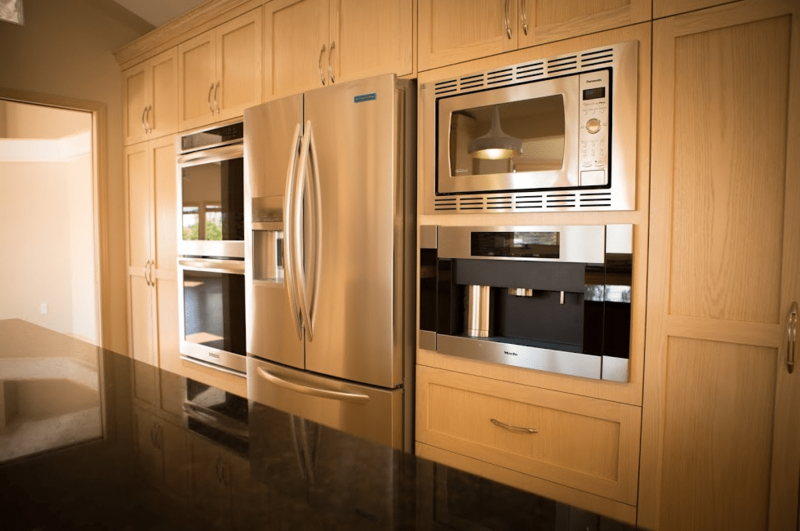 A homeowner has numerous options when it comes to selecting countertops, from granite to laminate and everything in between. 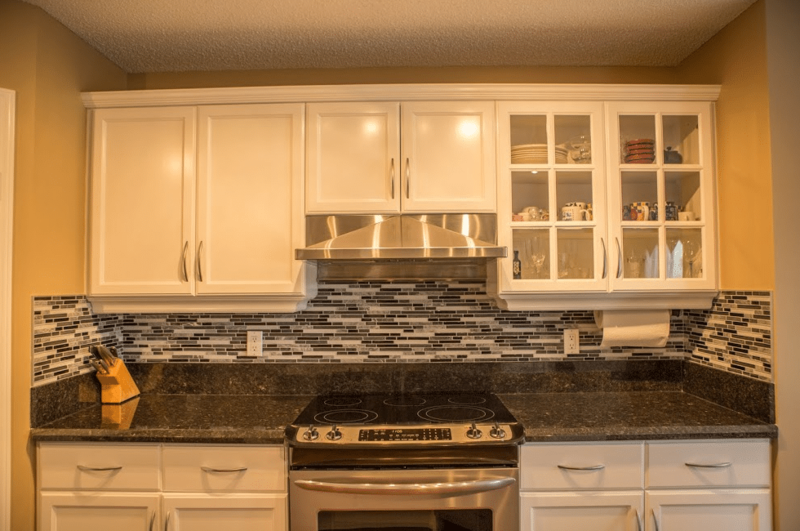 New countertops are a great way to improve the look and functionality of a kitchen and can be made to match any style and cabinetry. Modern kitchens often have porcelain or laminate countertops, when a traditional kitchen often incorporates a heavy stone like granite. 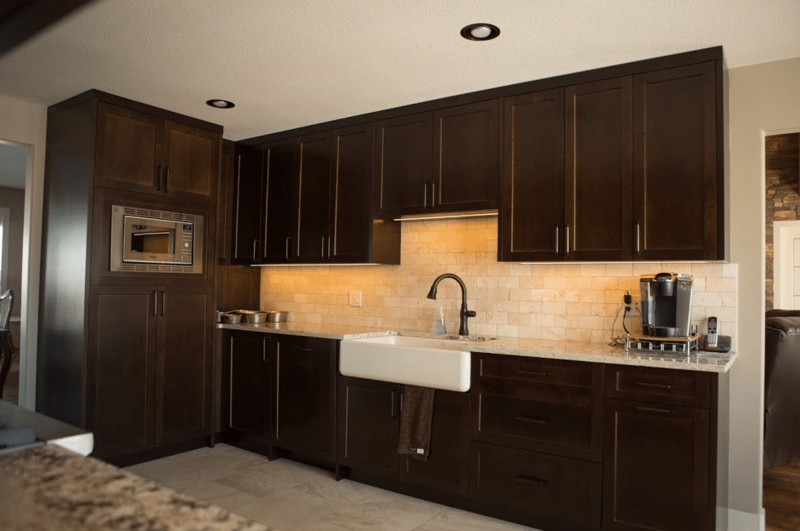 Your choice of countertop material makes a big difference in your kitchen as the countertop should be a functional working space that is also stylish and accentuates the kitchen design. 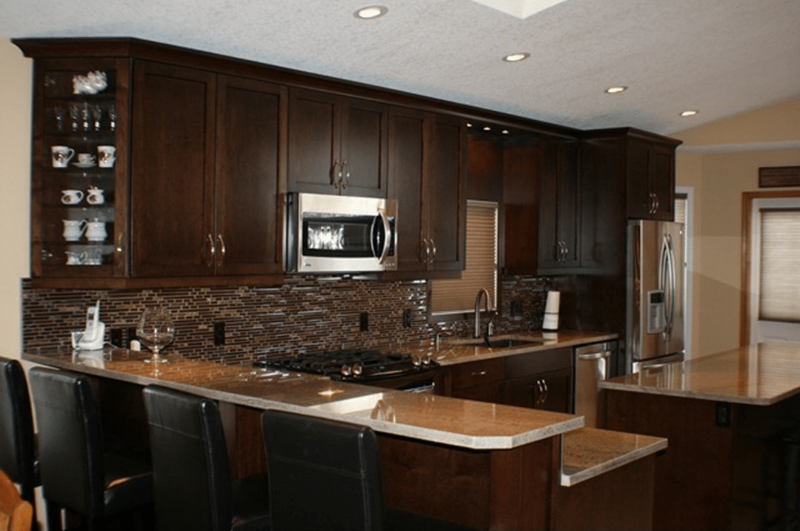 Laminate and marble counter tops have long been the standard in kitchens over the years. Laminate is a more cost effective solution for budget renovations when marble is very popular in high-end and luxurious kitchens. However, builders are experimenting with other materials including eco-friendly and recycled materials. 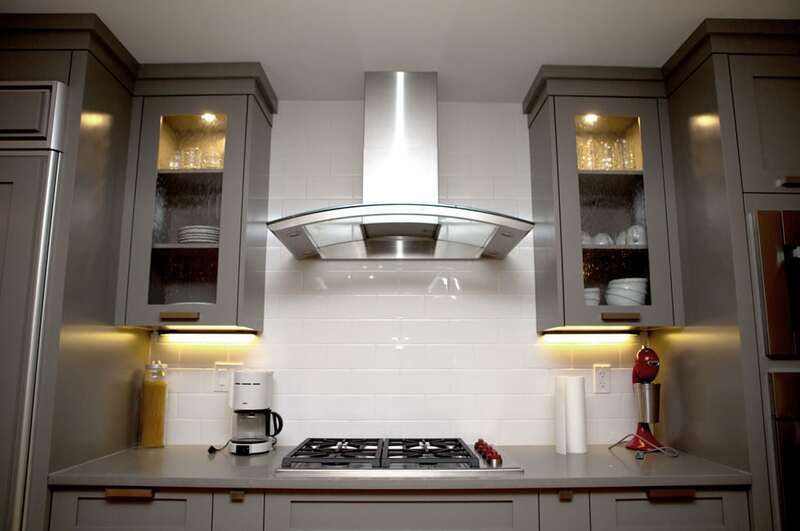 What are the materials you can choose for a modern kitchen’s countertop? 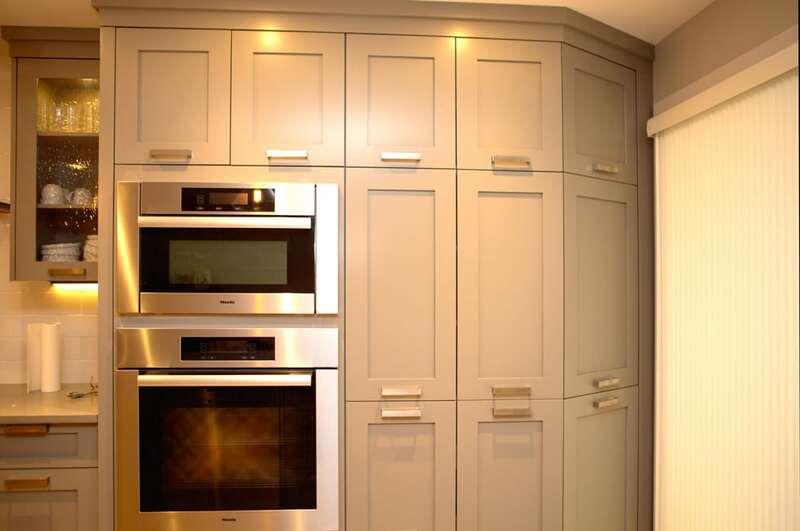 There are nearly countless options available for kitchen countertops if you are looking to install or upgrade your kitchen countertops contact Golden Acre Renovations to go over what option of countertops is best for you and your kitchen renovation. Granite is a natural stone. Granite as a material makes a stylish countertop of high endurance and elegance. 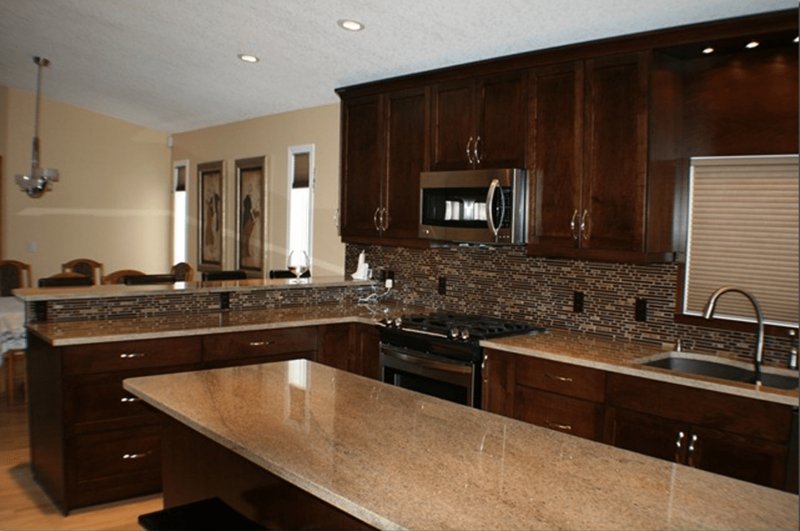 Granite countertops are often a bit pricier than other countertop materials due to the extensive work required to create the material as well as the cutting and polishing that is required. Quartz like granite is also a naturally occurring material. Quartz countertops are engineered and mixed with other materials to make very stylish kitchen counters in a variety of striking colors. 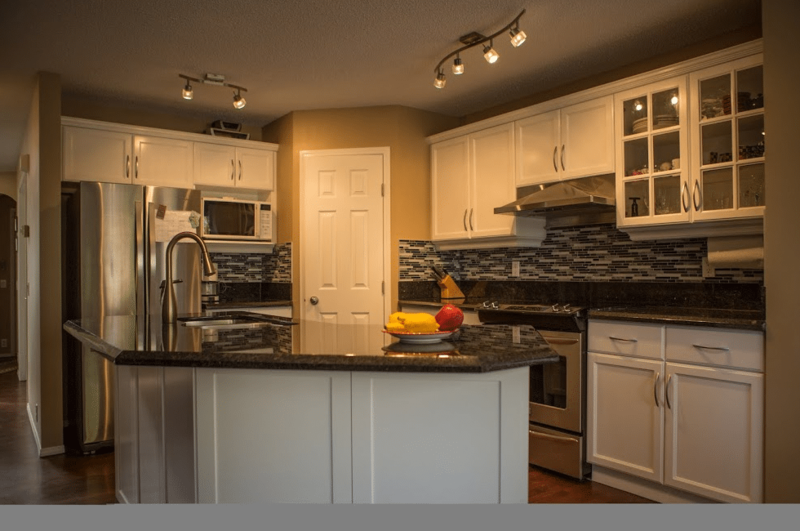 Quartz is frequently referred to as engineered stone to differentiate it from granite. 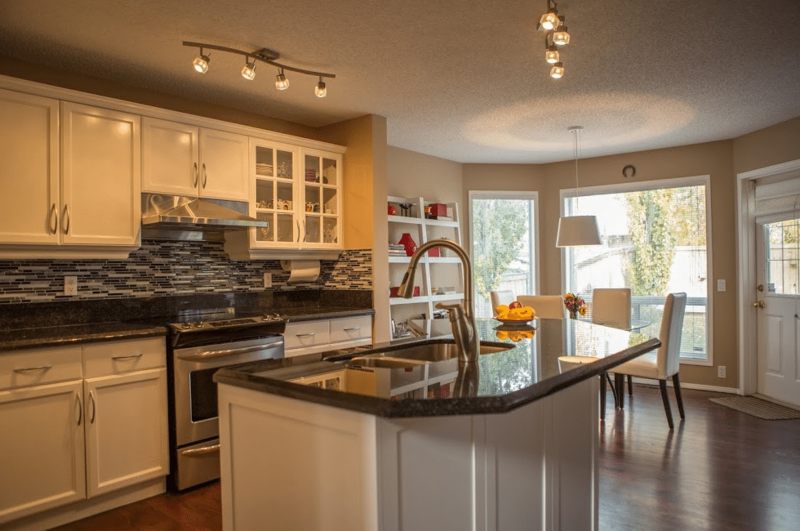 Specially formulated concrete is used to make kitchen countertops. Concrete countertops are often thinner than conventional construction concrete but is considered just as strong as conventional concrete. Concrete countertops can be personalized using special staining and stamping techniques. 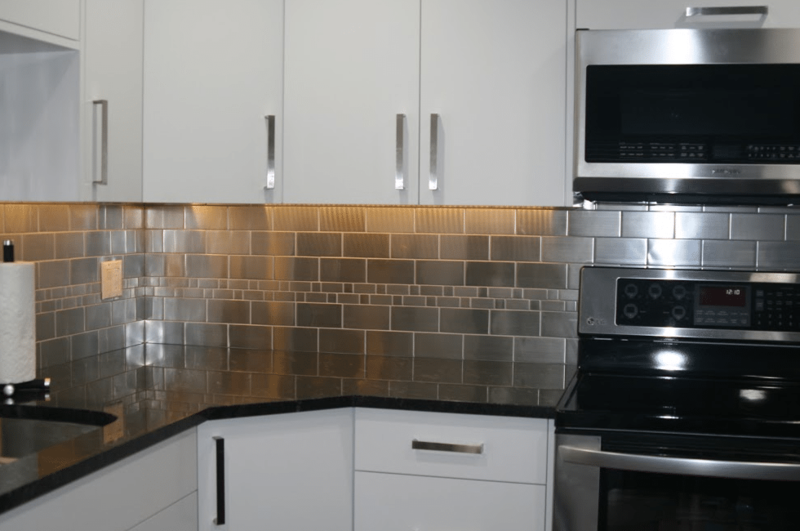 Ceramic, porcelain and glass tiles make for great and stylish kitchen countertops. Tile materials are popular because they are very easy to clean and are essentially maintenance free. 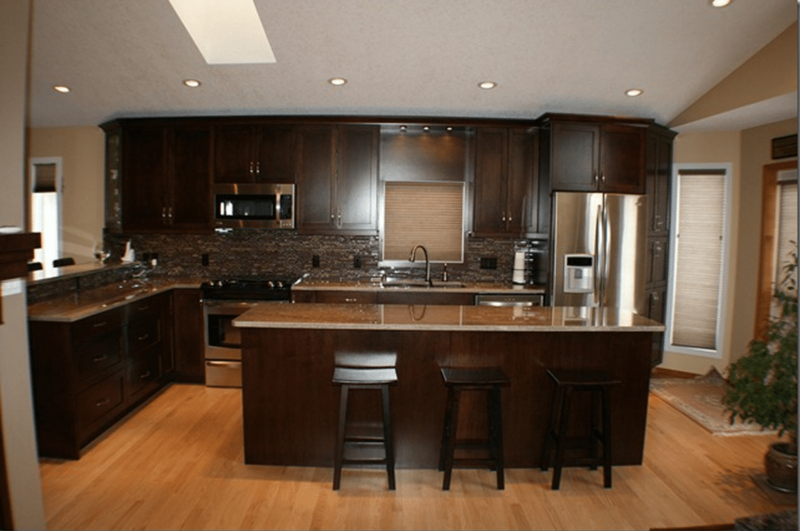 There is also a very wide range of styles of tiles for kitchen countertops. Marble is a beautiful natural material and makes for a very attractive kitchen countertop that is the definition of luxury. Marble countertops add a sparkle in the kitchen. Marble countertops are classy and very resistant to heat. 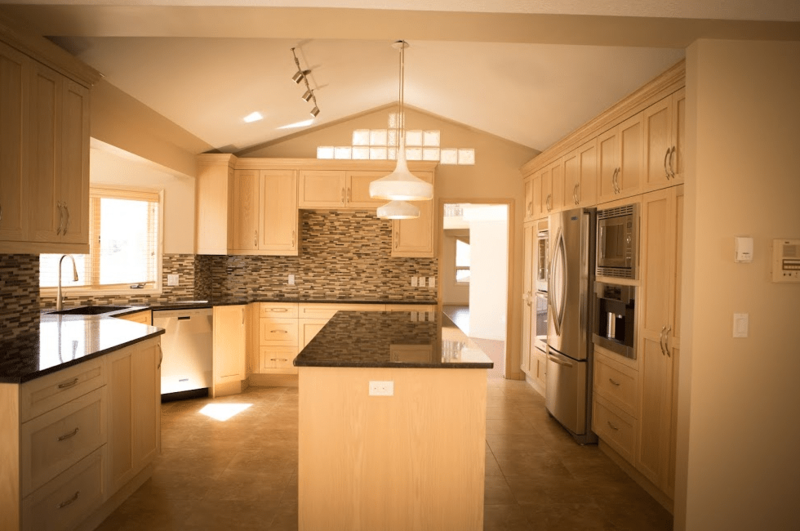 Solid surface kitchen countertops are made of acrylic materials to mimic the more expensive quartz and granite. 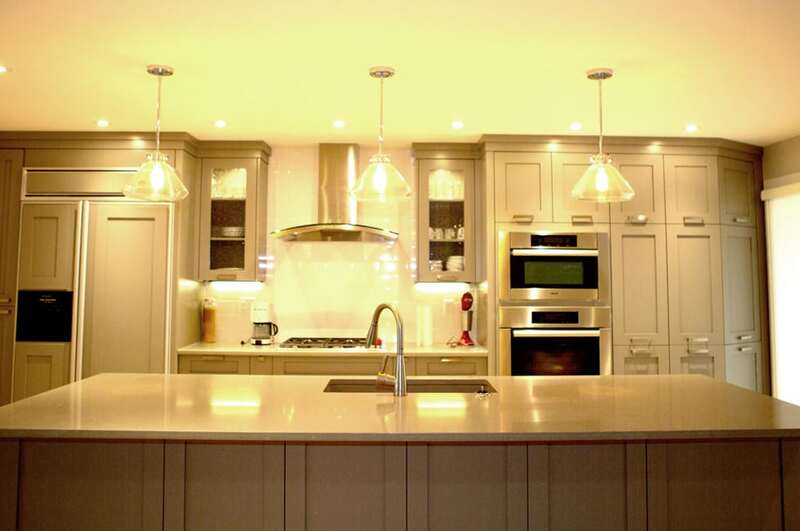 Solid surface countertops are a type of countertop that offers the strength and durability of quartz and granite materials but is available in a wider range of style and is significantly less expensive. 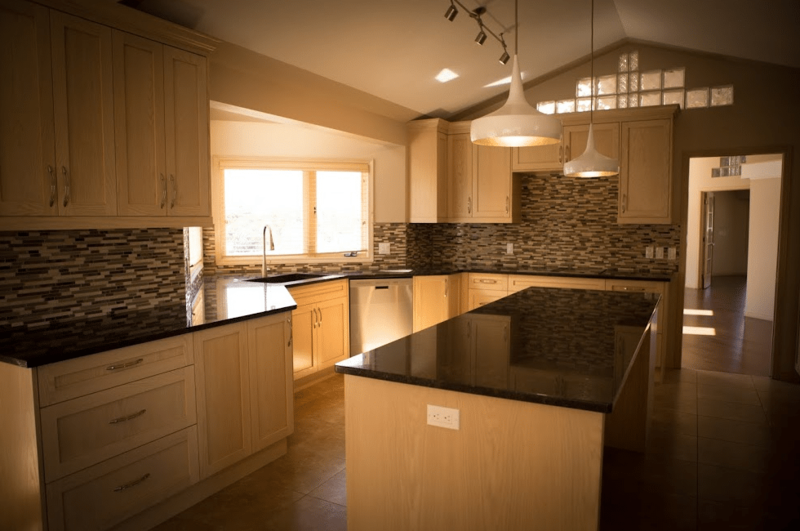 Resin countertops are made of a type of solid surface countertop that is constructed from cured resin which could be acrylic, polyester or epoxy. Resin countertops are highly customizable, being able to create a variety of very attractive colors and patterns. Stainless steel counter tops provide a clean clinical look to a kitchen. 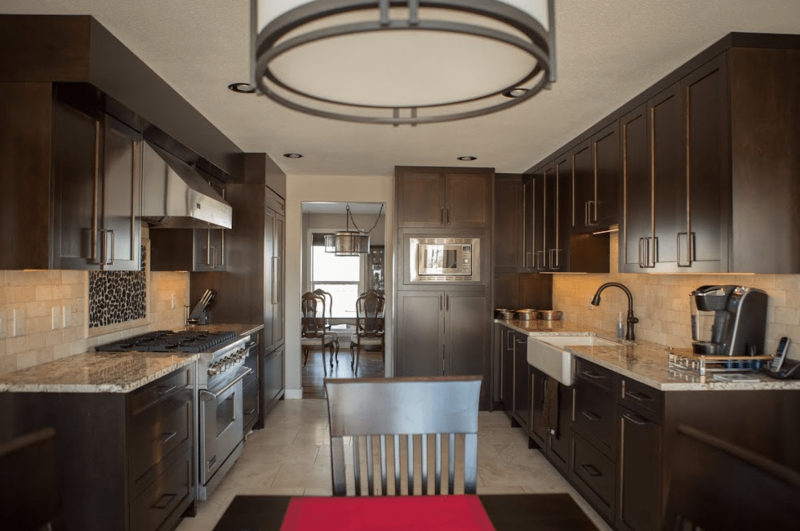 Steel is making a comeback as a choice for kitchen countertops as looks good in a contemporary or modern kitchen where it blends well with different lighting arrangements and flat panel and dark tone cabinets. Recycled glass countertops provide a look that is very individual. Recycled glass is unique and makes a bold statement in the kitchen. 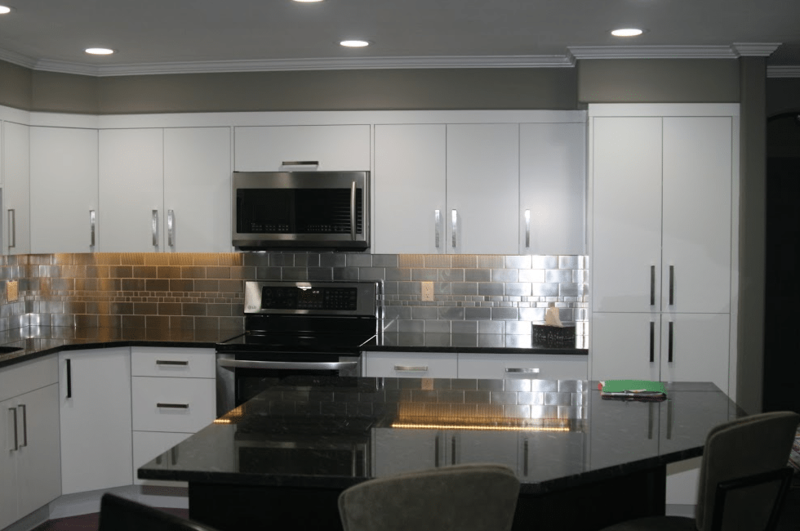 Glass countertops can be installed to have different visual styles. Wooden countertops are very easy for food preparation as it is a popular material cutting surfaces. 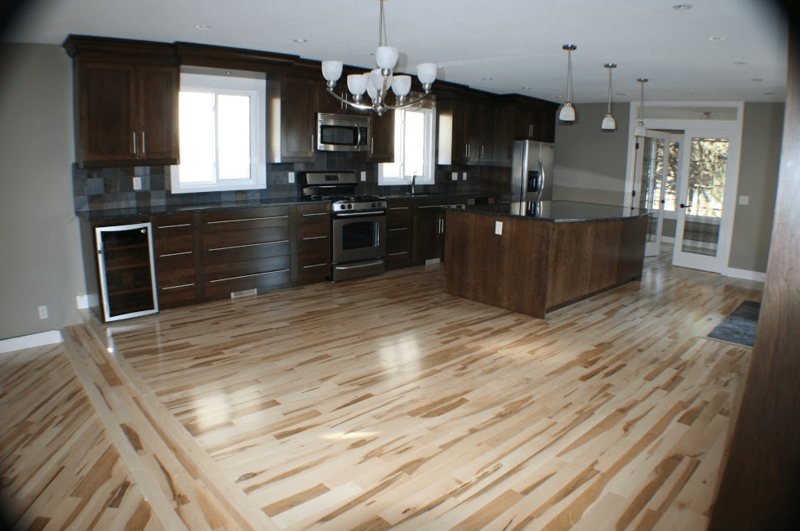 Using reclaimed wood is an eco-friendly way to enhance your kitchen, as the wood is recycled. 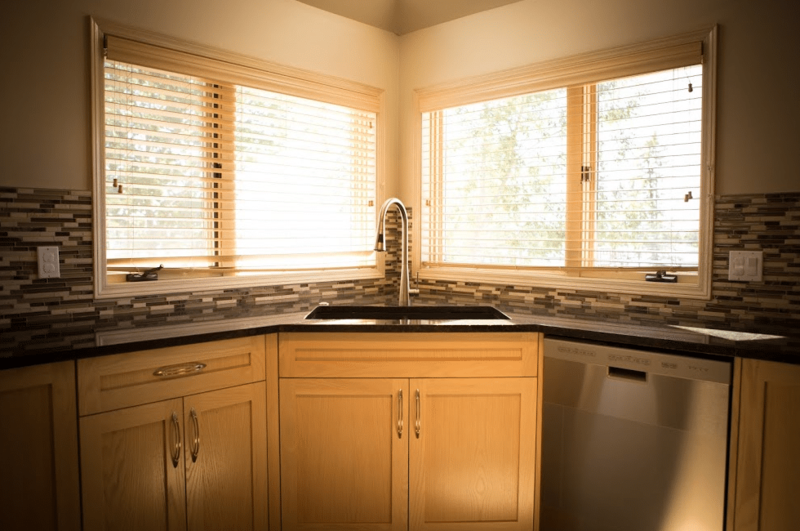 Wooden countertops can be used as a blend with other countertop materials. 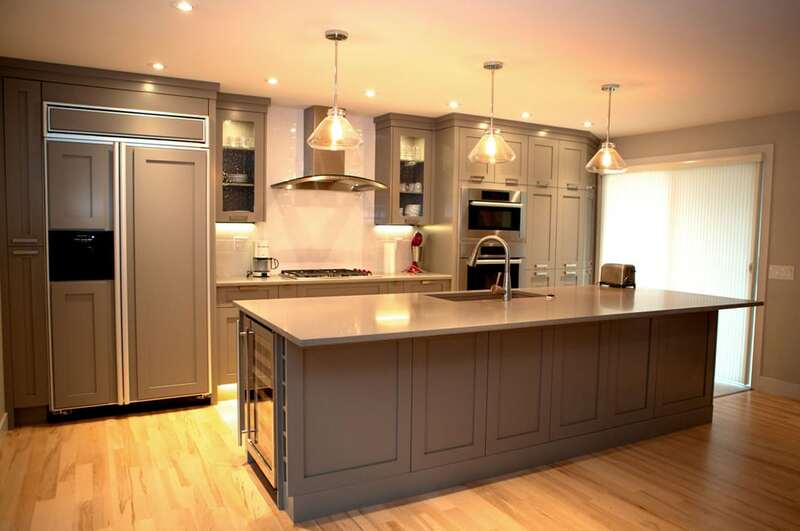 Wood has a warm vintage feeling which is ideal for a classic kitchen. 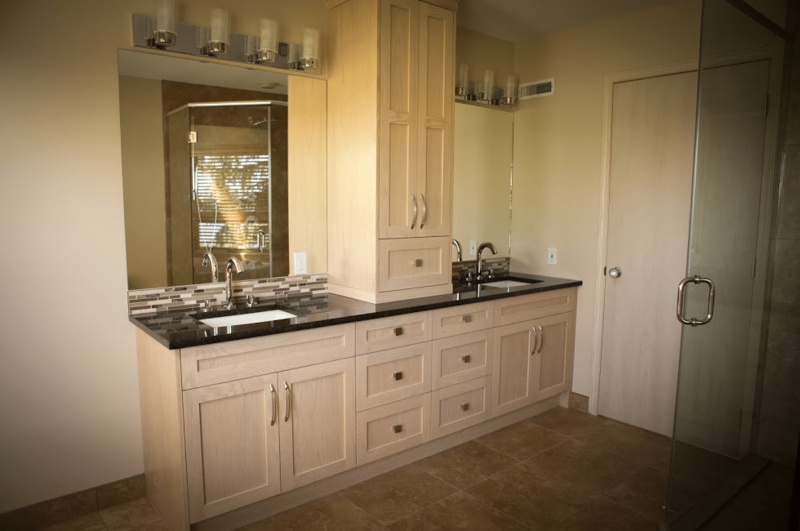 Porcelain is a traditional material that has long been used in bathrooms for the bathroom countertops and bathroom renovations. In kitchens, porcelain countertops give the same clean bright look they do in bathrooms and are known for being a strong and durable material that is the perfect combination of strength and beauty.